1. 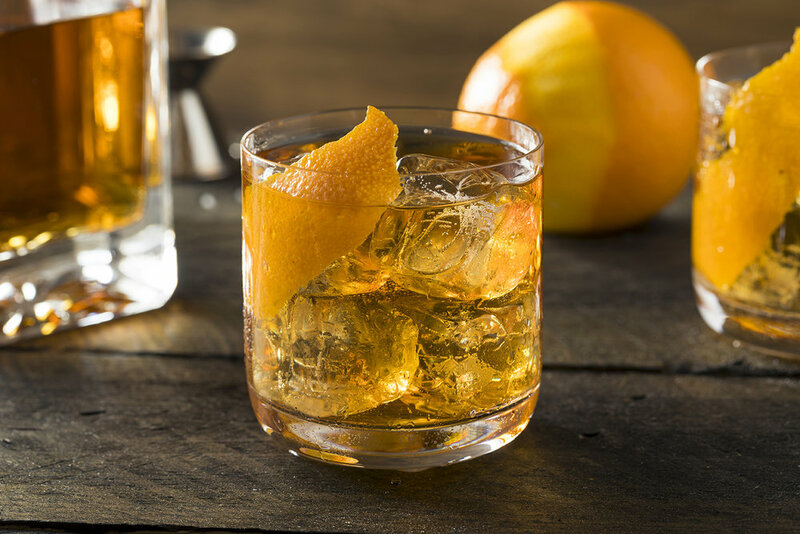 Place the sugar cube (or 1/2 teaspoon loose sugar) in an Old Fashioned glass. 2. Wet it down with 2 or 3 dashes of bitters and a short splash of club soda. 3. Crush the sugar with a wooden muddler, chopstick, strong spoon, lipstick, cartridge case, whatever. 4. Rotate the glass so that the sugar grains and bitters give it a lining. 7. Garnish with an orange peel.